Everyone who is affected by a business or has an interest in a business is called a stakeholder. A common problem that arises with having numerous stakeholders in an enterprise is that their various self-interests may not all be aligned. In fact, they may be in conflict with each other. The primary goal of a corporate enterprise from the viewpoint of its shareholders is to maximize profits and enhance shareholder value. Since labor costs are a critical input cost for most companies, an enterprise may seek to keep these costs under tight control. This may have the effect of making another important group of stakeholders, its employees, unhappy. 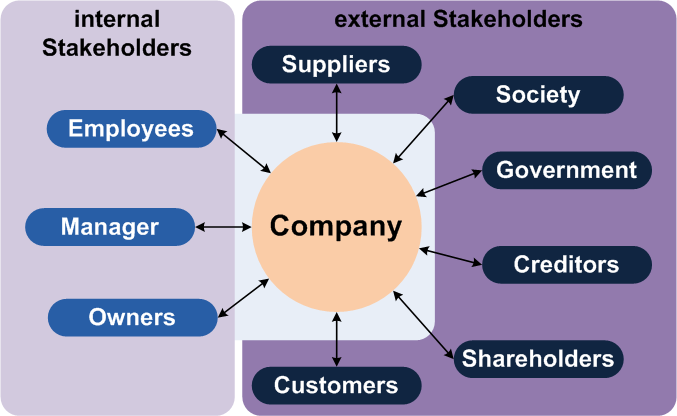 The most efficient companies sucessfully manage the self-interests and expectations of its stakeholders. Unilever is the world's third largest consumer goods company.The video highlights the most typical stakeholder conflict - that between shareholders who want to maximise profits, dividends and share values and employees who want job security and reasonable benefits, including financial security in retirement.